We have fallen in love with our lakes, and we are here to support others that suffer from the same affliction. We are the University of Wisconsin-Extension Lakes, a team of education professionals dedicated to preserving our Wisconsin legacy of lakes through education, communication and collaboration. We work with the 766 lake organizations in Wisconsin and coordinate a number of programs and projects to assist those concerned with the future of our lakes. Click on the Wisconsin water timeline at the right to see some highlights since the 1800s. Citizens and professionals have been learning more about lake science through our Citizen Lake Monitoring Network since 1986. Helping us share information on aquatic invasive species are the watercraft inspectors who are members of the Clean Boats Clean Waters effort. Citizens discover and hone their leadership skills through the Lake Leaders Institute​. Get our FREE quarterly newsletter to stay up-to-date on lake events and research, learn fun facts in our creature features, use our articles to share with your lake group, and more. If you need help with lake and water education, feel free to contact us. 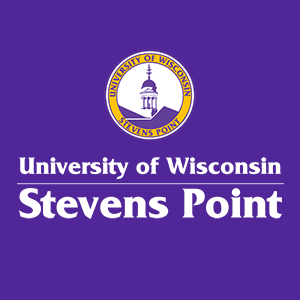 We are centrally located in the state, within the College of Natural Resources at the University of Wisconsin - Stevens Point. We are also a member of the Wisconsin Lakes Partnership. Since its genesis in the early 1970s, the Wisconsin Lakes Partnership has been recognized as a national model of collaboration. The Partnership is a dynamic, statewide network of agencies, organizations, and citizens, working together to ensure the healthy and diverse aquatic environment of Wisconsin’s lakes. Concerned with the future of our lakes, the Partnership seeks active cooperation and collaboration among a wide range of interests for protecting lakes. Local lake people make up the third group, represented by the statewide non-profit Wisconsin Lakes. Citizen volunteers from around the state - lake organizations, property owners, and local governments - provide the political will and hard work to accomplish watershed restoration and lake protection goals. We are all concerned with the future of our lakes and have joined together in active cooperation and conscientious planning for lake protection. The Partnership belongs to everyone concerned with the future of our state’s waters. Individuals, business partners, small groups, and large organizations have all rolled up their sleeves to lend a hand. The Wisconsin Lakes Partnership is a statewide, multi-faceted effort. Partnership activities include citizen volunteer monitoring, research, youth and adult training and education, aquatic plant protection, pollution prevention, invasive species education, water recreation planning, land and water regulation, and community assistance grants. If you need assistance with any lake-related question or project, the Wisconsin Lakes Partnership can help. People caring for the legacy of Wisconsin lakes through science, education and citizen involvement. This unique public/private/citizen partnership is a global model of collaborative resource management and is the primary reason why Wisconsin lakes are healthy. Lake management decisions should be science-driven. Effective partners help leverage resources and broad collaboration provides resiliency to the Wisconsin Lakes Partnership. We allocate our resources to the biggest, most pressing lake priorities, including: habitat loss, non-point source pollution, invasive species and a changing climate. An educated and informed public is supportive of sound lake decisions. Wisconsin’s lakes are a special public good and a shared resource that requires unique natural resource management strategies. Everyone has a part to play and is welcome to help protect lakes. Using lakes responsibly means balancing our desires with those of others, including future generations, and recognizing that lakes have capacity limits.